I am really sorry about Peanut having cancer. When I read she was sick on your Youtube page I wondered what she was sick from. I hope the surgery got it all. It scared me when I read she started coughing because I was warned that breast cancer usually spreads to the lungs. 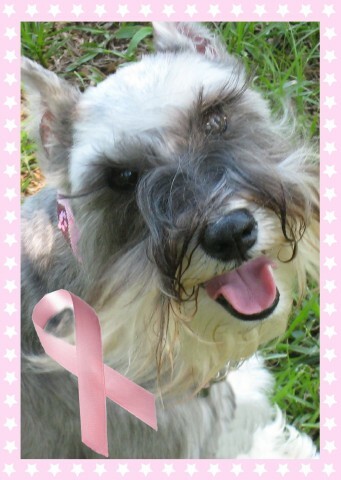 Our Maggie had breast cancer. Here is a link to her tribute on YouTube.We all live & learn (if we\'re lucky!) & now I am a lump/bump/tumor/cyst finding fool! I have them all aspirated to rule out cancer. I hope your adorable little girl will be with you for many more years!